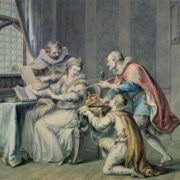 Jane Grey stands alone among the monarchs of England. Her reign was too brief from 10 July until 19 July 1553. 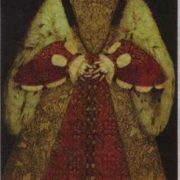 In folk tales, she is called the Queen for nine days, the first Protestant martyr, the victim of the English Counter-Reformation. 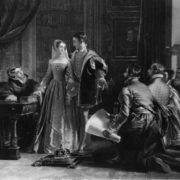 In numerous works of the XIX century, Jane Grey is the ideal woman of the Victorian era. Our heroine was born and lived during the heyday of the Reformation. This period is considered the brightest in the history of Foggy Albion. A quarrel of Henry VIII with the Pope was the beginning. 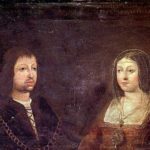 The head of the Roman Catholic Church refused to legalize the divorce of the king with his first wife Catherine of Aragon. The monarch was offended, and in 1534 the parliament decided to free the English church from subjection to Rome. As a result of the Reformation, the state received free land and funds confiscated from the Church. This allowed to equip the fleet, which managed to defeat the Spanish Invincible Armada. England became the mistress of the seas. But it was a time of political instability. Jane was the daughter of Henry Grey, Marquess of Dorset (later Duke of Suffolk) and Lady Francis Brandon. Jane was able to become one of the most educated women of her time. As a child she studied Latin, Greek, French, Italian and Spanish. Later she studied the ancient Babylonian, Hebrew and Arabic languages. Reading was one of her few entertainments. 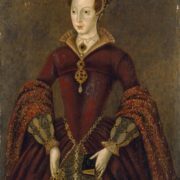 On July 10, four days after the death of Edward VI, Jane Grey Dudley was proclaimed Queen of England. On the second day bad news came from the eastern counties. Jane’s supporters failed to capture Mary, her main rival in the struggle for the throne. Mary ran away to the Koenig castle and proclaimed herself a queen. The third day. 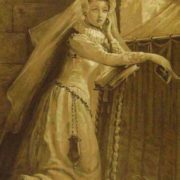 Jane received news that a lot of allies were rushing to the aid of Mary, who positioned herself as a faithful daughter of the Catholic church. 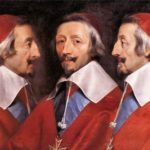 Her allies were mostly squires and people, who were dissatisfied with enriching the aristocracy at the expense of the confiscated church lands. The aristocrats supported Jane. Day four. 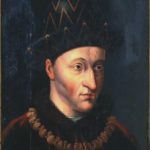 Lord John Dudley assembled an army to fight Queen Mary. Day five. Dudley headed 600 men with many guns and a brilliant staff. Mary chose to flee. 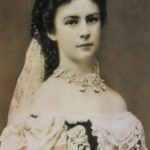 On the way, she was nearly captured by the enemy detachment, but a few words of Mary were enough to encourage the soldiers and officers to come to her side. Many nobles protected Queen Mary. The sixth day. Several ships sent to arrest Mary moved to her side and delivered her arms and food. Dudley hastily moved forward and captured Cambridge. The seventh day. 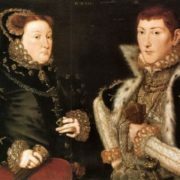 Earl of Arundel and Pembroke, whom Jane considered “loyal and beloved cousins”, secretly prepared coup in favor of Mary in London. The lords left Jane as the rats left the sinking ship. The eighth day. There was no agreement in the Royal Council. England was divided. The ninth day. Jane was alone without the Royal Council and the army. 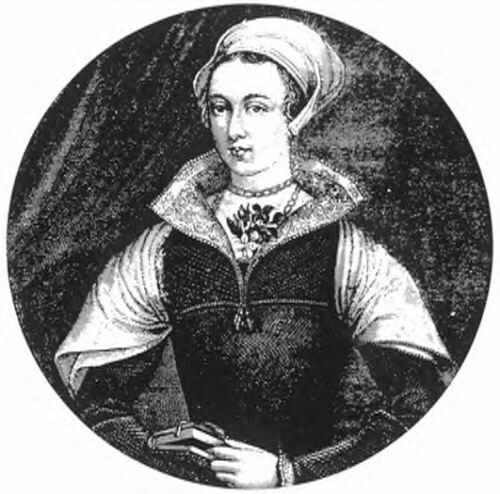 Mary Tudor became the queen Mary I. Jane, her father-in-law, husband and other supporters were taken into custody. The Duke of Northumberland was executed on August 22, 1553. 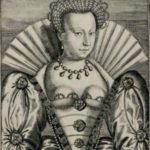 Queen Mary did not seek to execute her unfortunate rival. She wanted Jane to become a Catholic, which would be a great political victory. But Jane remained adamant. 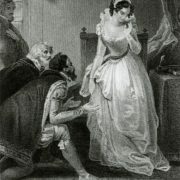 On February 12, 1554, Lady Jane was led to the scaffold. 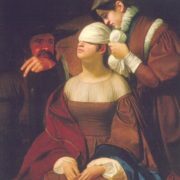 Kneeling down, Jane read the psalm, removed the veil, unbuttoned the dress and blindfolded herself with a white kerchief. She was executed at the age of seventeen. 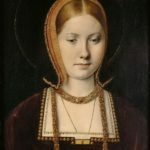 Mary I ruled only for five years, but during that time, in an unsuccessful struggle against Protestantism, she managed to earn the nickname Bloody. 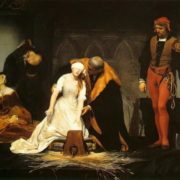 Lady Jane was the innocent victim of the political game.